Vortex Golden Eagle HD 15-60x52 SCR-1 Reticle Riflescope TCS-1501 is a formidable competitor in the brand's 2016 lineup of scopes. The scope is made for long range applications, known-distance target shooting, competition shooting, and benchrest and F-class shooting. It is especially suitable for competitive shooters as they need a specific list of attributes for the record shot and staying ahead in NRA High-Power or F-Class competitions. It is also a great choice for Rimfire Bench Rest and Centerfire Bench Rest enthusiasts. Vortex TCS-1501 is available with SCR-1 (Simple Crosshair Reticle) MOA reticle on the second focal plane. 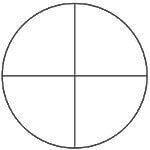 The reticle is the opposite of a busy reticle and fitted with a traditional set of fine crosshairs that subtend 0.016 MOA at 40X. The Vortex Golden Eagle HD is equipped with features such as APO (apochromatic) objective lense system, that incorporates index-matched lenses, for improving color throughout the visual spectrum; XRPlus premium totally multi-coated lenses for highest light transmission; premium High Density extra low dispersion glass for High Definition images; ArmorTex exterior coating for scratch-resistant and stain-proof performance; and argon gas purging for superior waterproof and fogproof performance. Other features comprise 4x optical zoom, 15-60x magnification range, side focus, fine reticle, positive and repeatable tracking, and a rugged one-piece main tube. The Vortex Golden Eagle Scope also provides ample eye, with a relatively low weight of 29.5 oz only.